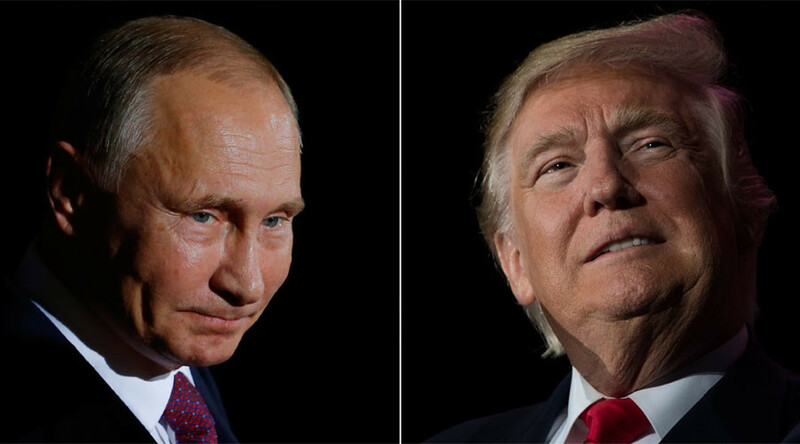 Despite tensions between the global superpowers, US President Donald Trump has promised that “things will work out fine" between the USA and Russia. On Wednesday, the president said US relations with Russia may be at “an all-time low." Trump’s comments came following a meeting between US Secretary of State Rex Tillerson and Russian President Vladimir Putin. “There is a low level of trust between our countries,” Tillerson said to the media after the two-hour long meeting where the men discussed US-Russia relations in the wake of last week’s US airstrike on a Syrian airbase. On Thursday, however, the US president expressed a far more positive outlook. “Things will work out fine between the U.S.A. and Russia. At the right time everyone will come to their senses & there will be lasting peace!” he said on Twitter. Trump also used Twitter to fire a shot in China’s direction on Thursday, warning that the US will “deal” with North Korea if China doesn’t. “I have great confidence that China will properly deal with North Korea. If they are unable to do so, the U.S., with its allies, will! U.S.A.” Trump said.